Rent, buy, or lease various EMC test equipment for complete standards testing. Manufacturers There are no products in this category. AH Systems is a US based manufacturer of EMC test equipment, antennas and probes. The EMC Shop stocks AH Systems test equipment for rental or sale. Boonton Electronics ("Boonton") is recognized as a leader in high-performance test instrumentation and sensors. We are a manufacturer of test equipment dedicated to measuring the power of RF and microwave systems used in both military and commercial sectors. 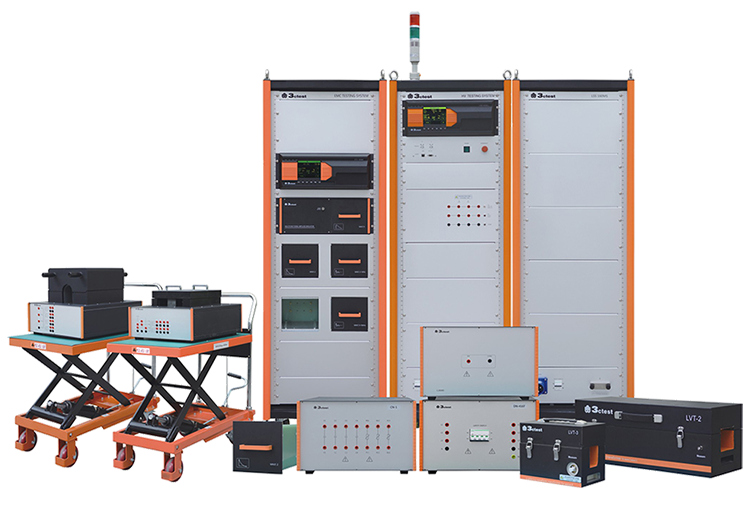 Com-Power is a leading manufacturer of test and measurement instrumentation for electromagnetic compatibility testing (EMC). The EMC Shop has partnered with Com-Power to stock and distribute new, used and rental EMC test equipment from Com-Power. The EMC Shop has a large inventory of new and used teste equipment from EM Test (Ametek CTS) - see Teseq / Schaffner as well. EM Test offers solutions in electromagnetic testing that is considered of the highest class. Their product range is suitable for the electronic or electrical device testing and evaluation in the automotive, telecom, medical, industrial electornics, avionics and military sectors. EMC Partner AG is a manufacturer of impulse test equipment for transient immunity compliance testing. 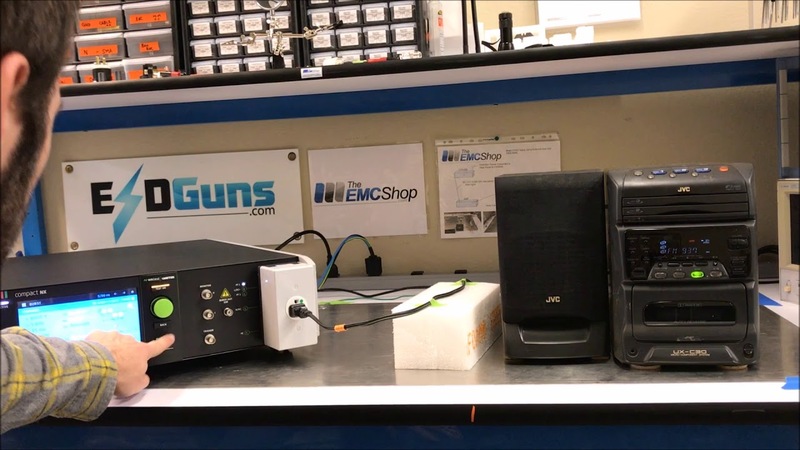 The EMC Shop stocks EMC Partner impulse equipment for rental or lease. EMC Test Design is a manufacterer of RF field probes an isotropic antennas for Electric-Field (E-Field) monitoring and evaluation. THese probes are suitable for cleanroom, anechoic chambers and outdoor use. The EMC Shop stocks EMC Test Design E-field meters and istropic probe antennas for rental or sale. Empower is a manufacturer of high power RF amplifiers with broadband frequency capability for EMC and RF testing. The EMC Shop rents and sells Empower amplifiers, contact us for more information. Systems that control unintended electromagnetic energy emissions. Tools that analyze and measure the performance of wireless devices before they go to market. Microwave chambers used to test military aircraft before they are put into operation. Facilities that enable physicians to obtain MRI images and perform surgery in the same room. Safety monitoring solutions for utility workers who are exposed to electromagnetic fields when they climb telecom and broadcast towers. Since 1993, ETS-Lindgren has been part of the ESCO Technologies’ (NYSE ESE) portfolio. This worldwide partnership ensures ETS-Lindgren has robust financial backing and resources to invest in operational efficiencies, as well as long-term industry research and development. 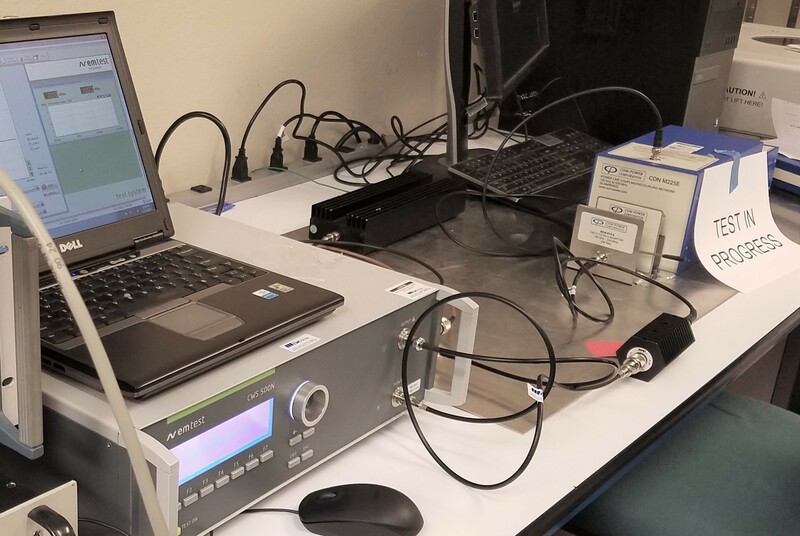 Haefely Hipotronics, formerly Haefely Trench, is a manufacturer of EMC testing technology that makes it easy for engineers to easily test, evaulate and self certify their equipment to conducted immunity compliance requirements. Instruments for Industry, IFI, is a leading manufacturer of EMC amplifiers for radiated immunity and susceptibility testing. The EMC Shop stocks IFI amplifiers to cover frequency bands for most major test standards including IEC, ANSI and MIL-STD. The EMC Shop stocks a variety of used Keysight (Agilent) test equipment. 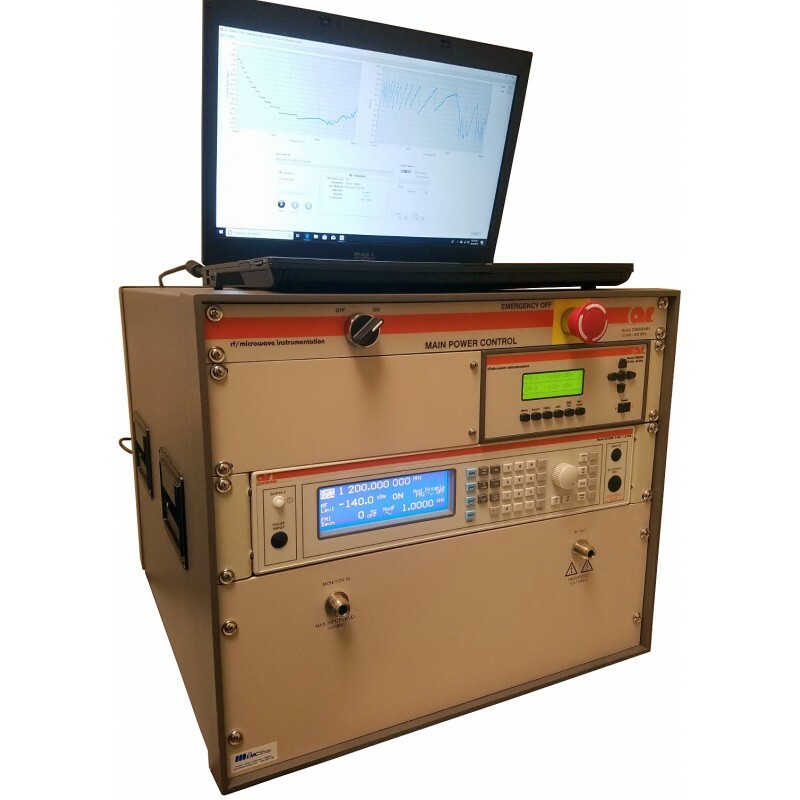 Keysight Technologies, formerly Hewlett Packard and Agilent, have released several high quality test instruments for EMI and EMC testing. Primary categories include EMC spectrum analyzers, preamplifiers, and transient limiters. MVG - the Microwave Vision Group -, founded in March 2008, combines the technological expertise, product portfolios and infrastructures of four industry leaders: SATIMO, ORBIT/FR, AEMI and Rainford EMC Systems. With over 330 employees worldwide, we've joined forces to meet our clients' every need. The EMC Shop stocks Schwarbeck EMC equipment for rental or sale. Turnkey systems for radiated or conducted testing are in stock, calibrated and available for immediate shipment. Keytek is a U.S. based manufacturer of EMC test equipment, now a division of Thermo Fisher Scientific. The EMC Shop stocks Thermo Keytek EMC test equipment and can deliver rentals immediately. Vicreate is a manufacturer of expandable polyprolyene microwave absorber for EMC anechoic testing chambers.